Fly 'Em High Tarpon fishing charters is centrally located in Boca Grande, Florida and services the Southwest Florida fishery. We offer the ultimate experience in Tarpon fishing. Our charters take place in the Capital of Tarpon Fishing for the state of Florida, arguably in the world. Captain Bobby Woodard offers 3/4 day and full day tarpon charters, as well as a "Marathon" trip that lasts a full 10 hours that is guaranteed to get your Tarpon fix taken care of. A 250 horsepower 24 foot tarpon fishing machine named "Anna Dell" will take you and your party of up to 4 on an epic journey into the Southwest Florida Tarpon fishery. The Sea Pro bay boat offers traditional Carolina style lines, with dimensions built for comfort in a multitude of conditions here in Southwest, Florida. Add to this the comfort of a wide beam, excellent dry storage space, and safety gear that meets and exceeds those set forth by the USCG - you will find yourself fishing from the best platform available for your Tarpon fishing trip. Hello my name is Capt. Bobby Woodard. 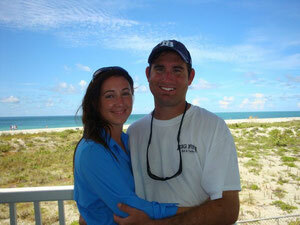 I am a United States Coast Guard licensed and insured charter fishing captain. I was born and raised in Polk County, Florida where I still reside today. I was fortunate enough to grow up on a lake and started bass fishing as a young boy. As time progressed my quest for bigger fish grew. I started saltwater flats fishing as an early teen and never looked back. I was hooked on flats fishing immediately and concentrated my efforts on catching large breeder size snook. After catching many slot size and larger snook my quest for bigger fish led me to start tarpon fishing. After battling many tarpon, I finally landed my first Tarpon (around 110 lbs). That first tarpon was the spark that created what can only be described as an obsession! I immediately started studying all aspects of tarpon fishing and dedicated my angling time to targeting the majestic silver king. After years of practice I decided to share my passion with others in hopes of giving them the angling honor of landing a beautiful, hard fighting and high flying tarpon! Thus Fly 'Em High Charters was born. Please check out the rest of my website and I look forward to taking you fishing soon! The History of Southwest Florida Tarpon fishing is in this indepth video, optional to watch, but we do suggest giving it a view to better understand how this fish became to be known as the Silver king, and explains the draw for anglers all over the world. Also known as the “silver king” because of its size and appearance, the tarpon is one of the most sought after fish in Boca Grande and along Florida’s Gulf coast. Their primary habitat is the shallow coastal and bay waters along the Gulf and Atlantic coasts. When they’re young, tarpon can also live in freshwater. These megalops are quite an interesting species and one of the awesome aspects of the Southwest Florida tarpon fishery in Boca Grande is that we both harbor juvenile Tarpon in backwater estuaries, as well as see the massive yearly migration. At the same time some adult Tarpon remain residents along this coastline, and can offer you shots all year long. But the true peak is in the Summer months. Tarpon are scavengers, which means they can target nearly any type of food, but it is truly dependant on the availability of each type of prey species during each season. 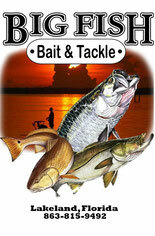 In this, the "match the hatch" methodology of fishing is also apt in the Tarpon fishing world. This also offers a unique opportunity to target a large gamefish species on both live and artificial baits.